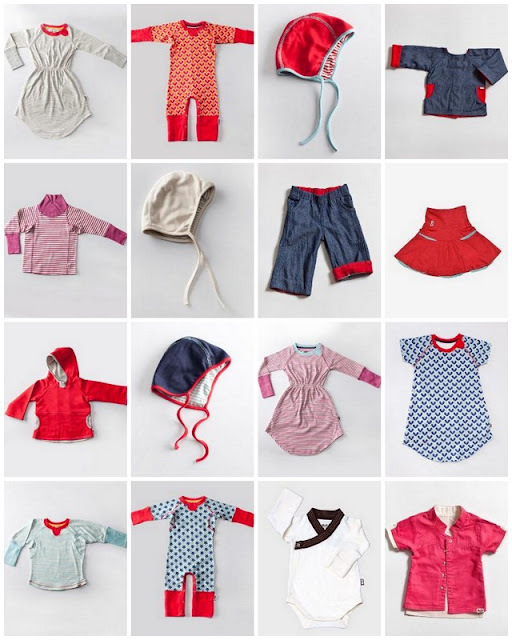 The Shanghai-based kids' clothing company Wobabybasics is featured today at The Minisocial. This is smart, well thought-out clothing for active small people. Many of the items are reversible and can be worn in several different configurations (like the denim jacket on the top row above which can be worn 4 different ways). I love their simple, clean design and the comfortable cuts of these items. And, just to make us all really happy, these items are almost half off full price. If I still had little babies at home, I would be ordering all colors of the little reversible baby caps with ties. And be sure to have a look at their collection of bodysuits (not pictured above). Wobabybasics is a breath of fresh air in the world of boring and garish kids' clothing. Find all of the sale items at The Mini Social here. Hey! Have you seen ThredUP? I just found a lot of cute Baby gap stuff and right now they are offering free shipping for your first order! I just looked at ThredUP and it is fantastic!! Thanks for the tip... I will check it often. Have a lovely week, Grace!